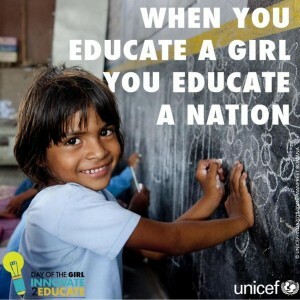 Celebrating the International Day of the Girl! I was lucky enough to be born in a country where I had the opportunity to receive an education. I had the opportunity to go to school and to embrace the art of learning. Even today, I continue my education as an undergraduate student and I am so grateful for that chance to be able to learn. Not everyone is that lucky. There are hundreds of events that are going to take place throughout the country and around the world today that are sponsored by campaigns and organizations like Girl Up!, Girl Rising, UNICEF and Plan International. The discrimination of girls throughout the world is an ever increasing problem; in every area of life, from education to the workforce to just recognition in society, girls are being devalued and neglected. We need to stand up and unite with those whose voices may not always be heard and strive towards having their stories told; those who have the platform to do so, must engage in highlighting the struggles that girls face and work towards finding solutions for them. The campaign “Girl Rising,” is a global campaign that advocates on behalf of education for girls throughout the world. This past March, the film Girl Rising came out, directed by Richard Robbins and it documents the stories of nine girls from nine different countries and exemplifies the beauty and power of human strength, resilience and more importantly, how education can change the world. Students and individuals can register a screening of the movie for this Friday in honor of the “Day of the Girl.” Similarly, the Girl Up! campaign is having “11 days of action,” which started on October 1st and will continue until Friday. For 11 days, the Girl Up! 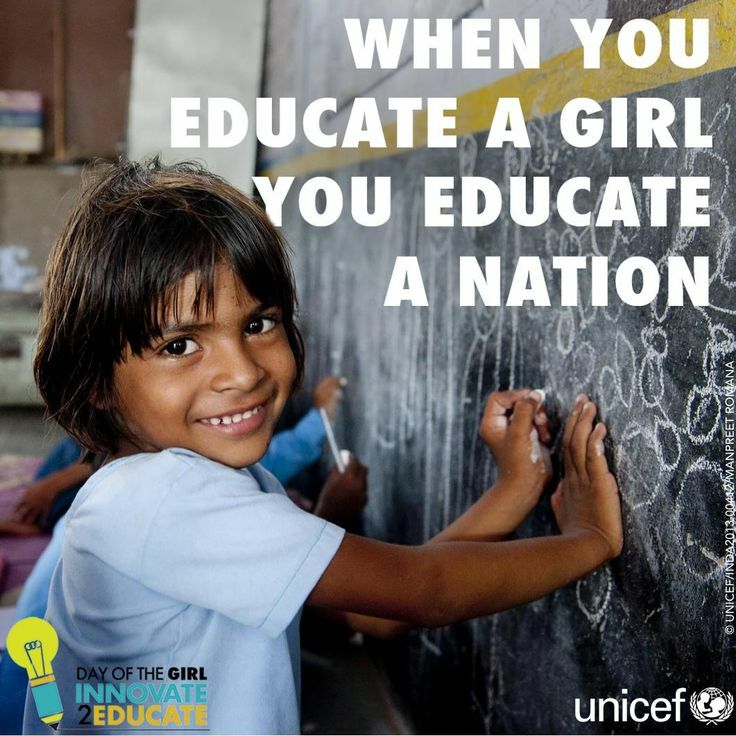 campaign was calling for actions on social media which would help promote the theme of the “Day of the Girl” movement. As I am sitting here writing this piece, I have to acknowledge and honor one special young woman who is igniting this movement more than anyone else: Malala Yousafzai. Shot in the head by the Taliban exactly a year ago today, Malala is courageously making education availability for girls her life long mission. She is the symbol for peace and a powerful voice that needs to be heard. When addressing the United Nations on July 12th, 2013, her 16th birthday, Malala called for children everywhere to be able to achieve the right of education, in peace and equality. “So here I stand…one girl among many. heir right to equality of opportunity. This young woman should inspire us all to work hard in the face of adversity and to ignite a positive change throughout the world. It won’t be easy but we can be the ripple of hope for those who need it most. Lets consider October 11th as only the beginning in our continued pursuit for equality, opportunity and respect for all women and girls worldwide.